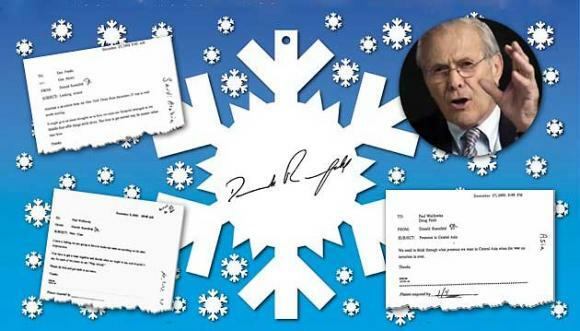 The full archive of snowflakes is a critical historical resource and will serve as a sort of ultimate Pentagon chronology, touching on such diverse DOD issues as staffing, Rumsfeld’s personal requests, advice from such notables as Frank Gaffney and Newt Gingrich, communications from Rumsfeld to President George W. Bush, relations with Russia, China, and other nations, and the DOD’s strategy and conduct in the wars in Afghanistan and Iraq. The Archive will publish new installments of snowflakes as they are released to us. Special thanks to the Archive’s pro bono lawyers Melissa Smith, Cliff Sloan, and Greg Craig at Skadden Arps Slate Meagher & Flom. 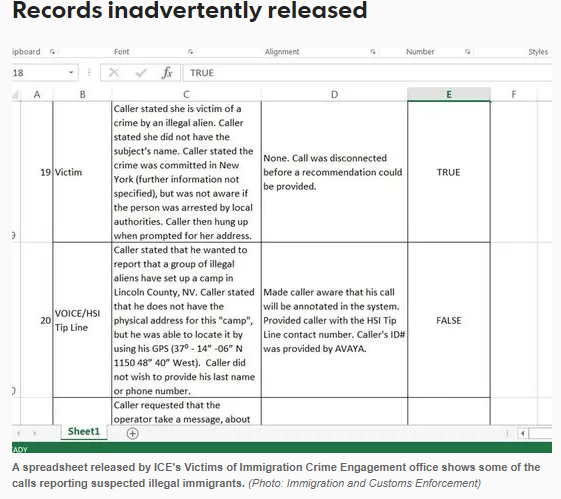 Immigration and Customs Enforcement temporarily removed and reviewed the entire contents of its FOIA library late last year after releasing the private information of hundreds of people who had called into the Victims of Immigration Crime Engagement (VOICE) office – publishing the potentially personally identifiable information in both its public call logs and in FOIA releases. VOICE was established in April 2017 by the Trump administration “to support victims of crimes by immigrants” and is not meant to be a crime hotline – although logs released the Arizona’s The Republic in response to a FOIA request show it is largely used “to accuse people of being in the country illegally or of violating immigration laws.” ICE offered two years of identity-theft protection and credit monitoring to those affected by the release and asked the paper to confirm that it had destroyed the records that were sent in error. The government admitted the deletion and non-compliance in a court filing on January 18, 2018, one day before President Trump signed the FISA Amendments Reauthorization Act of 2017 into law; the authorization will expire in December 2023. Sunlight Foundation’s audit of agency opengov responses. The Sunlight Foundation has released its report on transparency under President Trump, “Under Trump, U.S. government moves from /open to /closed.” As part of its survey, Sunlight contacted the 24 agencies covered by the Chief Financial Officers Act and asked them a series of questions – including for basic FOIA statistics agencies are required by the Justice Department to disclose every quarter (the State Department does this). Sunlight found, “When we called public FOIA officers/liaisons for the first time, we reached voice mail 91 percent of the time, and then received a callback 26 percent of the time. Of those callbacks, just 20 percent our answered questions regarding 2017 FOIA statistics.” The remaining agencies, including the Department of the Interior, told Sunlight to file a FOIA request for the data – displaying a troubling lack of awareness of their obligations under the FOIA. The Archive’s Cyber Vault recently posted a new document received in response to an Archive FOIA request on DOD’s cyber operations – STRATCOM’s February 2008 CDRUSSTRATCOM CONPLAN 8039-0. The document, which is posted alongside 11 relevant documents from our Cyber Library to help researchers contextualize the new release, provides cyberspace strategy for Strategic Command and a framework for the execution of tasks to generate effects in cyberspace in support of DoD objectives. This week’s #TBT pick is a 2013 posting commemorating the 50th anniversary of the coup overthrowing South Vietnamese President Ngo Dinh Diem. The posting “further strengthens the view that the origins of U.S. support for the coup which overthrew South Vietnamese president Ngo Dinh Diem 50 years ago today traces directly to President Kennedy, not to a ‘cabal’ of top officials in his administration.” Get the whole story here.